The iliacus muscle is shaped like a triangle, flat and an exact fit of the iliac fossa — the curved surface of the largest pelvic bone. Together with the psoas major muscle, it is also called the iliopsoas muscle.A portion of this muscle is attached to the iliac fossa, two-thirds from its top. Another portion is attached to the inside portion of the iliac crest, the top, outer portion of the pelvic bone.Other fibers of this muscle are attached to the iliolumbar and anterior sacroiliac ligaments (located at the base portion of the sacrum) and up to the anterior iliac spines (bony projections that lie toward the edges of the iliac). These muscle fibers then converge and insert on the tendon at the lateral (outer) side of the psoas major muscle, which stretches from the lumbar spine in the lower back to the lower pelvis. Some of these fibers extend to the femur bone, or thighbone. Lesser trochanter of femur. Its fibers are often inserted in front of those of the psoas major and extend distally over the lesser trochanter. Lumbar branch of iliopsoas branch of internal iliac artery and medial circumflex femoral artery. The iliacus muscles flexes and externally rotates the femur. 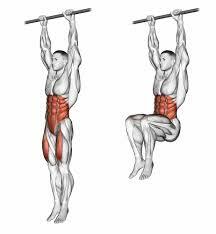 It is also one of the key muscles that helps to maintain proper body posture. When combined with the psoas muscle the two muscles are considered the strongest hip flexors in the body. The Iliacus muscle can also add to an anterior tilt of the pelvis (down and forward). Just like the iliacus, the iliopsoas is responsible for hip flexion. This muscle is also involved in trunk flexion, which is bending the trunk forward such as when you perform a sit-up or bend down to tie your shoes. The iliacus is also continuously active during walking but psoas major is only active (during gait) shortly preceding and during the early swing phase. The iliacus muscle eccentrically controls lateral sidebending of the trunk. Trigger points - tight areas or knots in the iliacus muscle that are painful, tender, and stiff. Iliacus ischemia - a condition of reduced blood flow to the muscle. 2. Traumatic iliacus muscle injury is rare; it is usually caused by trauma or intense exercise involving the pelvic girdle; it can produce a hematoma with femoral nerve neuropathy. Spontaneous muscle hematomas occur in patients with coagulation disorders.It causes intense pain in the right buttock, groin and iliac fossa, with an inability for hip flexion and ambulation caused by inadequate exercise (supine double leg lifts).Ecchymoses may be present in the upper thigh. Iliacus compartment syndrome is a rare retroperitoneal compartment neuropathy caused by bleeding within the iliacus muscle leading to hematoma formation and compression upon the femoral nerve, causing both sensory and motor deficits.Iliac hematomas are rare and can be caused by traumatic and non-traumatic injury, and can be exacerbated by complications of anticoagulant therapy.Delaying surgical evacuation of the hematoma can lead to prolonged or permanent disability. However, there are other reports describing good recovery with non-operative management. Non-surgical intervention is recommended if radiological studies do not explicitly confirm the presence of a discreet hematoma compressing the femoral nerve, unless progression of symptoms increases. 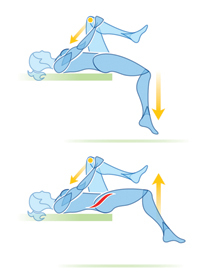 Have client supine with a pillow under the knees.Flex the knee and slightly laterally rotated Place palpating hand on the anterior iliac crest and palpate into the iliac fossa with your finger tips. Most of the iliacus is not palpable .Ask the client to actively flex the thigh at the hip joint and feel for the contraction of the iliacus . Have the client stand against a wall, with heels (feet) apart, and shoulders and head touching the wall. Normal is the ability to posterior tilt to touch the small of the back against the wall. If the client cannot posterior tilt by flattening their back onto the wall with the feet apart and the hips and knees straight, but can do so with knees bent and the hip flexed, the restriction could be shortened iliacus. The iliacus are shortened during activities that flex the hips, such as sitting. Because they increase the arch of the lower back, tight hip flexors are notorious for causing lower-back pain. Start: Lie on your back on a stable table with your legs hanging off the edge. Grab your left knee with both hands and pull it gently toward your chest. Contract: Resist by lifting your right leg toward the ceiling for six seconds. Stretch: Hang your right leg off the table again. Hold for 10 to 20 seconds. For a more intense stretch, hang a heavy bag from your right foot. Switch sides. ↑ Magaña-Reyes J, Domínguez-Gasca LG, García-Luna A, Domínguez-Carrillo LG. 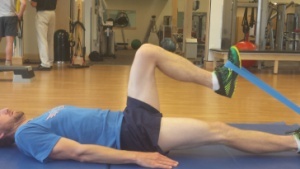 Iliacus muscle injury caused by inadequate exercise. Acta ortopedica mexicana. 2016 Dec 15;30(3):154-7. ↑ Mwipatayi BP, Daneshmand A, Bangash HK, Wong J. Delayed iliacus compartment syndrome following femoral artery puncture: case report and literature review. Journal of surgical case reports. 2016 Jun 1;2016(6).